"Hey, what are you drinking there?" the first one asks. "It's kombucha!" the second replies enthusiastically. "It's supposed to make me more energetic, and help my digestive system...and make me smarter, ha!" That's right, kombucha and all of its alleged wonderful benefits are becoming widely popular, and a mainstream beverage staple in Bend. 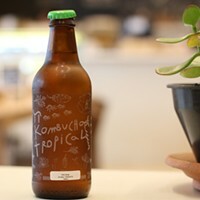 Believed to be brewed first in northeast China before reaching into eastern Russia in the early 20th century, and then springboarding into Europe, kombucha is a fermented drink made with tea, sugar, bacteria and yeast. 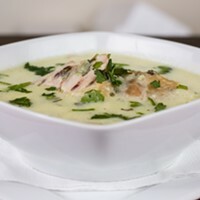 Herbs and fruit juices are added for enhanced flavor and health benefits. Over the past decade, the fizzy tonic has grown rapidly as a trendy beverage, with claims including improving digestion, supporting weight loss, increasing energy, cleansing and detoxing, and supporting the immune system. Although a century-old drink, this recent popularity has been supported by—and spurned on—a cottage industry of kombucha producers. 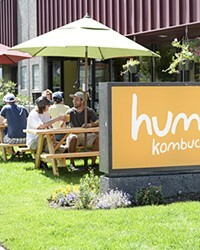 Humm Kombucha, founded by Michelle Mitchell and Jamie Danek, is the Deschutes Brewery of Bend's kombucha scene; that is, it pioneered the industry here in 2009. Since then, Humm opened the first kombucha tasting room at its family-friendly brewery on NE Second Street, which offers brewery tours, growler fills, and a fireplace hang out. 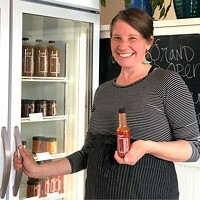 Humm has grown to become one of the largest draft kombucha brewers in the country and is found in Bend grocery stores, gas stations, and growler-fill locations, including the Westside Pharmacy drive-thru on Century Drive. Humm currently offers nine kinds of kombucha, including Original (unflavored), and ranging from recognizable teas like mate and chai, to refreshing flavors like pomegranate lemonade and blueberry mint. Mixing and matching flavors is also encouraged. I sampled Sunburst, combining strawberry lemonade and lemon ginger: invigorating and not too sweet. Brew Dr. Kombucha (BDK) is produced by Portland-based Townshend's Tea Company, which has a teahouse in downtown Bend. BDK has also been around since 2009, kicking off the kombucha craze alongside Humm. BDK is organic and raw, made from Townshend's delicious variety of teas, organic medicinal herbs and organic sugar. BDK is available in bottles and on tap in eight different flavors: Clear Mind, Nutritonic, Superberry, White Rose, Spiced Apple, Lemon Ginger Cayenne, Love, and Just Ginger. 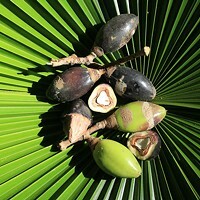 Each BDK flavor offers variations of the same basic health benefits: improving mental clarity, aiding circulation and digestion and supporting the immune system. 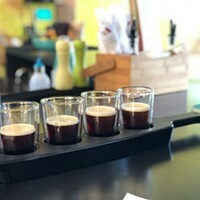 In addition, different herbs and teas are incorporated into the brew for effects like aromatherapy and relaxation, as well as enhanced flavor. Bucha Buena is among the newest kombucha producers. Inspired by the growth of the craft beer scene in Bend, kombucha homebrewer Brooke Moore opened Bucha Buena during the summer of 2014. Buena Bucha offers five flavors made with 100 percent Oregon fruit and local teas: Blackberry Lime, Raspberry, Strawberry, Sweet Tart (a cherry blend), and Blueberry Ginger. Check back with Bucha Buena for seasonal flavors like Watermelon Lime, made with hand-juiced watermelon. Although it's not being bottled yet, kombucha enthusiasts can find Bucha Buena on tap at all the standard Bend locations: Mother's, Growler Phil's, Growler Guys, Parrilla, Jackson's Eastside, Good Life, and more. 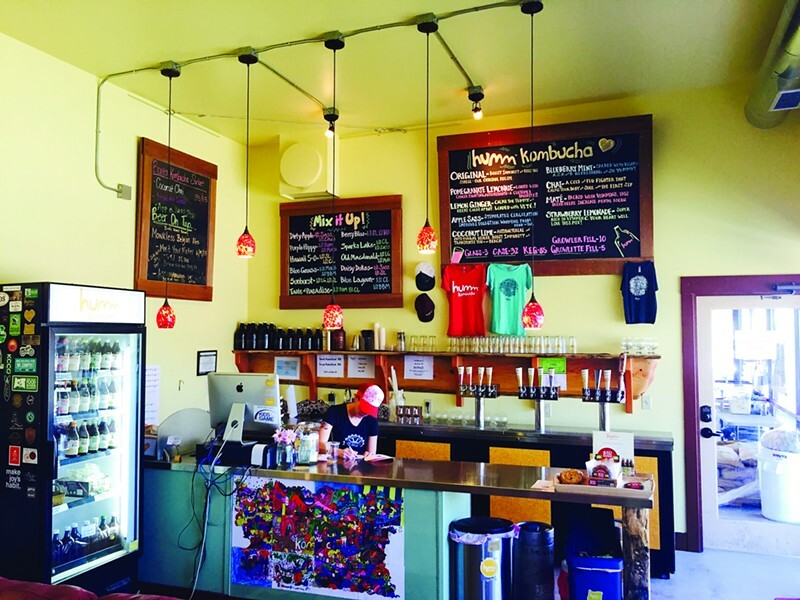 Zen Kombucha, also opened in Bend in 2014, offers "craft brew for your body, mind, and spirit." Zen Kombucha, owned by long-time Bend residents Keoki and KD McKee, uses locally sourced organic green teas and non-GMO, organic fresh fruits. Look for Zen Kombucha flavors like Pineapple-Hibiscus, Blueberry-Orange, Marionberry, and Tangelo Turmeric on tap at Growler Phil's, Riverside Market and Crow's Feet Commons. Venture Fermenters also opened in Bend in 2014. Using fresh, local ingredients, Venture creates tasty kombucha flavors like Flower Power, The Great Pumpkin and Lavender Limeade, which can be found on tap at Central Oregon Locavore, Parrilla and Velvet. Eventually, you can expect to see more varieties of healthful fermented drinks from Venture.